In August 2018, New York City put the brakes on Uber, Lyft, and other ride-hailing services within the city, seeking to regulate an industry that some claim has gone unchecked. When it comes to ride-hailing and regulation, the newer picture is yet to be drawn. The question is what the future holds for these digital platforms. Proponents of the moves argue that the actions will improve the quality of life for many drivers who now live below the poverty line. Others say restrictions are necessary to address rampant increases in traffic in New York and other cities due to the proliferation of the driver services. Critics say the move will limit access to ridesharing in the outer boroughs and lead to poor service among poorer neighborhoods. Uber and Lyft alike were highly critical of the decision. They claim the yearlong moratorium will only restrict access, while criticizing the city for not addressing congestion issues on the streets or in the subways and other public transportation modes. They also allege the move may lead to higher rates and longer wait times. Several civil rights groups have backed the apps companies. Uber, Lyft and other for-hire services have quickly outpaced taxis as the choice for rides in the city. There are more than 100,000 for-hire vehicles in the city, more than four times the number of taxis. The move could also set a precedent for other cities looking to curb the use of the ride-hailing apps. Austin, Texas, has also explored the regulation of the companies. Uber has faced regulatory battles in Brazil, Canada, and Italy. The New York Times and other technology news outlets reported that Uber had recently just regained its taxi license by agreeing to various regulations, including the sharing of traffic data with the city. Europe’s highest court has ruled that Uber should be regulated like a taxi company. 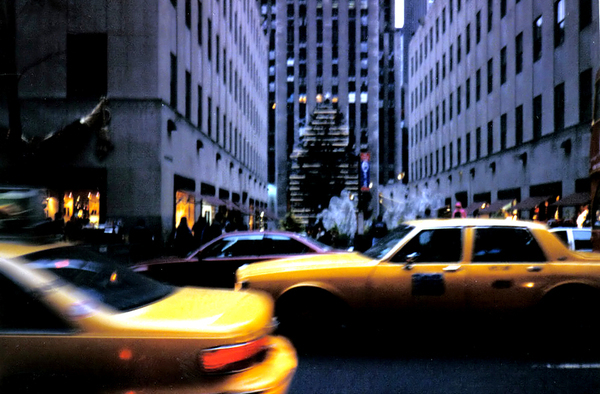 There are now four times as many for-hire vehicles as taxi cabs in New York City. Uber has had to deal with several PR issues on the home front. While taxi workers were protesting President Donald Trump’s first travel ban on Muslim’s, Uber dropped prices around JFK Airport. Uber has also been criticized for its sexist culture, which led in part to the ouster of founder Travis Kalanick. Uber appears to be positioning itself for an initial public offering, too. As a private company, it does not need to share financials but has been releasing partial information. Its most recent reporting in mid-August shows revenue of $2.8 billion, representing 63 percent growth over the same quarter in 2017. Lyft is also private, with a recent funding round led by Fidelity Investments pushing up the company’s valuation to $15 billion, double what it was in 2017. If regulation continues to become an issue for the digital ride-hailing apps, it could erode investor confidence heading into an IPO for either company. Until then, the impact on New York and the ripple effect on the companies andtheir business leadership bears watching. Do We Need a National Policy on Cybersecurity? Uber and London: What Does the Future Hold?